Paralyzed Graffiti Artist Draws With His Eyes A group of artists and hackers have crafted a gadget that lets a paralyzed graffiti artist continue making art using only his eyes. And it costs about as much as an iPod shuffle. The EyeWriter costs about as much as an iPod shuffle, about $50. A group of artists and hackers have crafted a gadget that lets a paralyzed graffiti artist continue making art using only his eyes. And it costs about as much as an iPod shuffle. Zach Lieberman of the Graffiti Research Lab started working on the EyeWriter with one man in mind: Los Angeles-based graffiti artist Tony Quan. In 2003, Quan was diagnosed with Lou Gehrig's disease, leaving virtually every muscle in his body paralyzed except for his eyes. 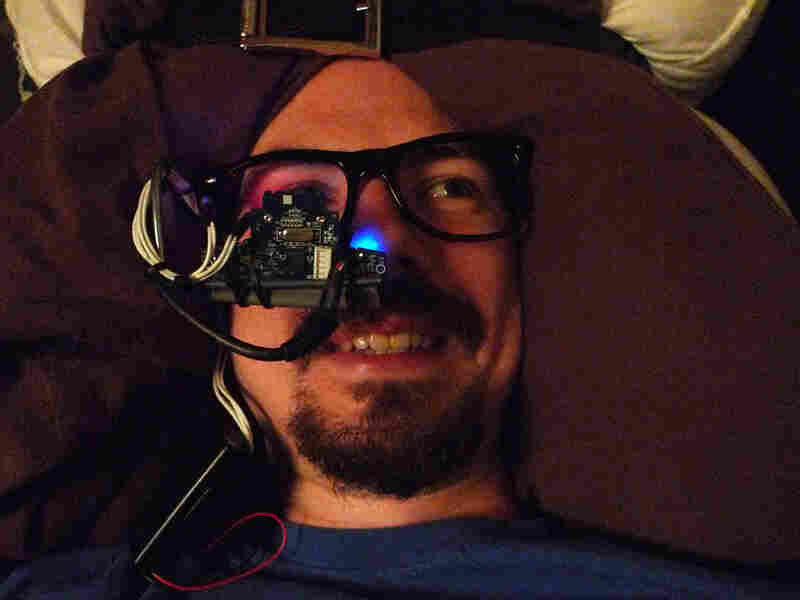 Lieberman and developers from Free Art and Technology, OpenFrameworks and the Ebeling Group were inspired to create low-cost, open-source hardware and software for eye-tracking to help Quan draw again. Eye-tracking technology, in which computers and small cameras harness eye movements for writing, highlighting Web site text and other tasks, has led to digital tools for users with disabilities. However, as Lieberman tells NPR’s Liane Hansen, those devices usually have hefty price tags. "Commercial eye-trackers, to get a device is $10,000-$15,000," he says. 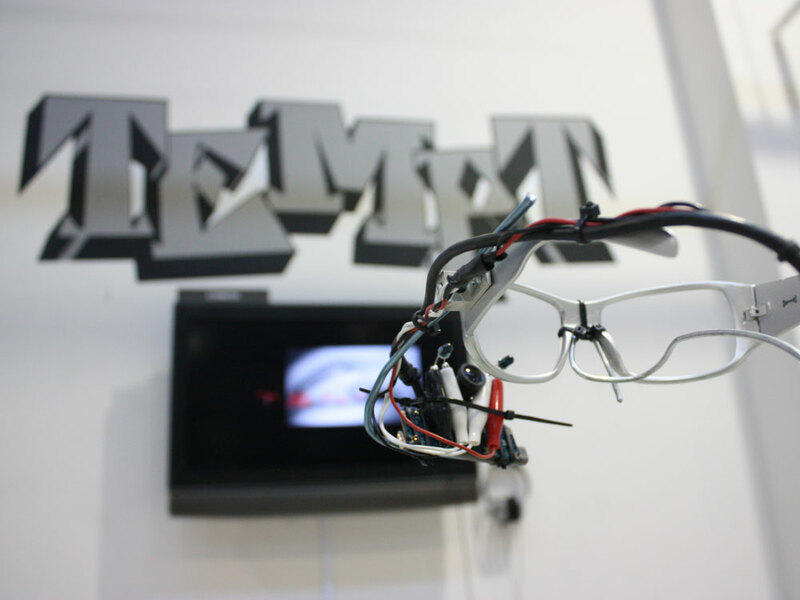 The EyeWriter is estimated to cost about $50. He and his hacker colleagues have a do-it-yourself kit for building an EyeWriter that starts with a pair of sunglasses. For Lieberman’s prototype, he bought a pair from a vendor at Venice Beach. "Then we assembled a kind of wire frame that holds a Web cam, a small camera that we've mounted close to the eye," he explains. "We've written software that tracks the eye, and then we calibrate with [Quan's] eye movements and the computer screen." Quan can draw lines and color within them, though graffiti-writing with the EyeWriter is nowhere near as fast as shaking up a can of spray paint and drawing by hand. "But he can plot points. And from plotting points, create letters. And from creating letters, create words. And then color the words, shade the words, extrude them in 3-D, add different features," Lieberman says. In 2003, graffiti artist Tony Quan was diagnosed with Lou Gehrig's disease, leaving virtually every muscle in his body paralyzed except for his eyes. The artist-hacker team studied Quan's art and his love of letter forms in order to produce the most effective software for him. They've just won a FutureEverything Award for innovation. That honor includes a cash prize, but Lieberman says he and the developers aren't interested in following the stereotypical storyline for a tech start-up: splashy launch, market saturation, initial public offering, high-priced sale. 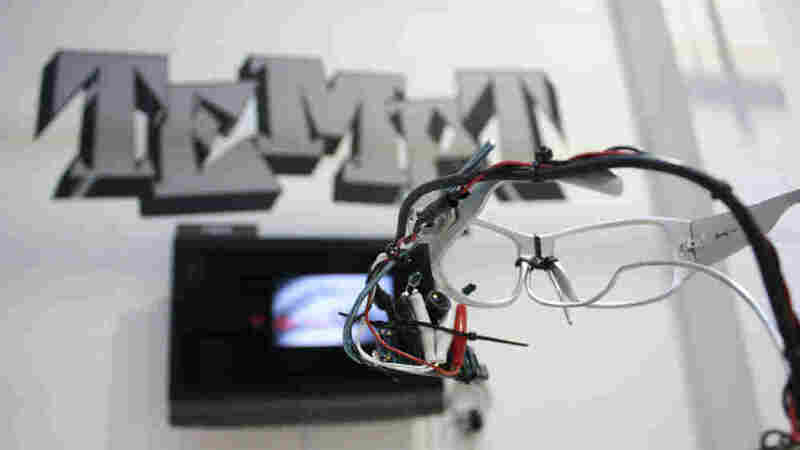 They want to help people who could use the EyeWriter to communicate, whether by graffiti or much simpler written words. "There are people who have loved ones who have ALS or locked-in syndrome ... or other diseases, where having that option, at least, of a kind of device that you can build for somebody in need is really important and really necessary," he says. "We're not in it to make money. This is really coming from the heart."